Virtual Reality Nature Scenes Help Pain (KEYT-ABC, 12/21/2016)Views of nature have been shown to lower stress levels in children, and kids love new tech. So do their parents. Thus, our pilot program: with a growing deficit of nature exposure with greater urbanization, and a greater awareness of the overuse of pain pills, a program featuring nature and tech seems timely. Chef Clinic and Sansum Medical Clinic in Santa Barbara recently created a pilot program using VR goggles displaying 30 seconds of nature scenes–those of the ocean, beach, sky and swimming fish — to improve kids’, parents’ and clinic staff experiences during routine influenza vaccination. The program had extraordinary adherence, acceptance and survey return rates; pediatric ophthalmologist Mark Silverberg, his 14 year old daughter Zoe, and I collaborated on it. We measured fear, pain, desire for future VR relaxation induced by VR, and staff ease in administering the vaccine. No side effects from the injections or the VR scenes were noted. Whether VR can do harm to kids in such short bursts has been thoughtfully considered previously, here and here as well: there seems to be no evidence for such to date, though it is wise to remain cautious and continue to do research. Like most pilot programs, ours was designed to try to help the kids, parents and staff, and our results show that it is feasible–even remarkable–to use VR goggles showing nature scenes to reduce pain in kids getting shots. A Swedish pharmacy chain reportedly does that too, albeit with a more meditative instruction than we gave kids. Our VR nature kids–over 125 of them–experienced roughly half the pain and fear as the 100+ kids who did not use the VR. The nursing and clinic staff attending the kids and parents thought almost three quarters of kids appeared to have less pain and fear if they used VR nature. Giving the vaccine was over 5 times easier to kids watching VR than kids not watching, and the intervention did not seem to add time to clinic. The program raises important questions: how can we identify and qualify nature scenes to reduce pain and fear? 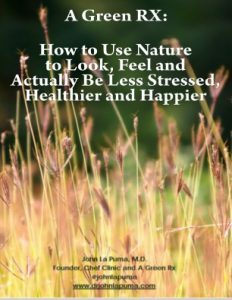 What role does sound of nature play in pain reduction? Do kids and adults need different scenes, and sounds, and scents? What is the right dose of nature through VR for pain prevention and reduction, and other helpful clinical intentions? Can you overdose (as some of the Chinese data on kids looking at LED screens 8 hours daily suggests) on VR? Is it just nanny-ism to be concerned that kids might become myopic from VR use, or experience a withdrawal disorder of its own, or is it a real, not rare possibility? Pain relief with non traditional methods which are more natural than opioid medication and other pharmaceuticals, especially for situational pain like injections, but also for predictable chronic pain like osteoarthritis, rheumatoid arthritis and chronic low back pain, is needed. Can VR with Nature be part of a constructive response to the Surgeon General’s recent report for resolving the opioid crisis in America, and affirm the American Medical Association’s assertion that nonpharmacologic approaches be utilized first in treating pain? Though it is well known (better known) that some food choices and culinary medicine can improve or exacerbate pain, this is the first evidence that a pilot program can offer 3D nature “blue scenes” can do so through VR, and make kids, staff and parents happier…a lot happier. Virtual Reality (VR) has been on health care’s radar (how ancient that sounds) for three decades. 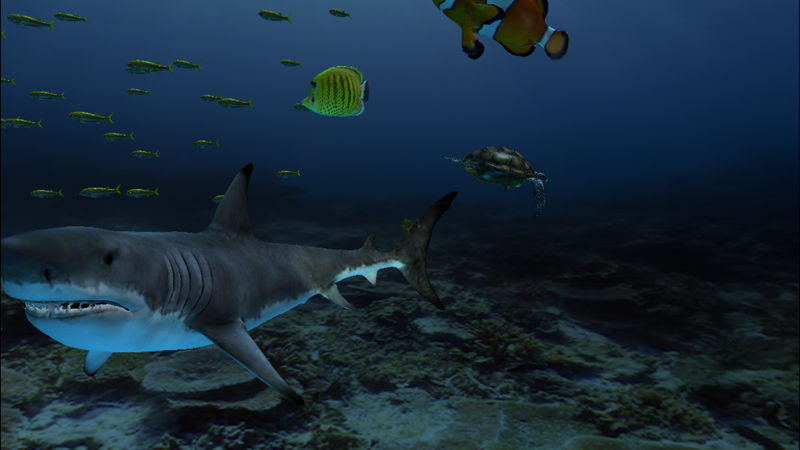 VR goggles are now within reach financially, and have a growing library of apps designed to harness this accessible, imaginative technology, and provide both a bridge to nature. See here for whether VR can really provide a bridge to actual nature–I think the jury is out, but it makes sense that it could. If you’d like to know more about natural means of pain relief, or about our recent work in VR-nature in kids above, browse the Nature Therapy Resources page free, join our private community here, or contact me directly. Consumer VR is still in its infant stages, but the technology is improving rapidly. If you’re considering getting a VR headset, you can get tethered–more expensive and plugs directly into a PC–or mobile, less expensive and requires you to plug your smartphone into the set. The mobile headsets will not present as clear of a picture, but can still provide an at-home experience of virtual reality. A note before use: follow manufacturer’s recommendations on use as lengthy sessions may create feelings of nausea. I also recommend having a buddy present to keep an eye on your movements and stop you from stubbing a toe or stumbling into a coffee table. Oculus Rift – Virtual Reality Headset: probably the market leader and most advanced available. Samsung Gear VR – Virtual Reality Headset (works with compatible Samsung Galaxy smart phones); also may be out of stock from holiday interest.